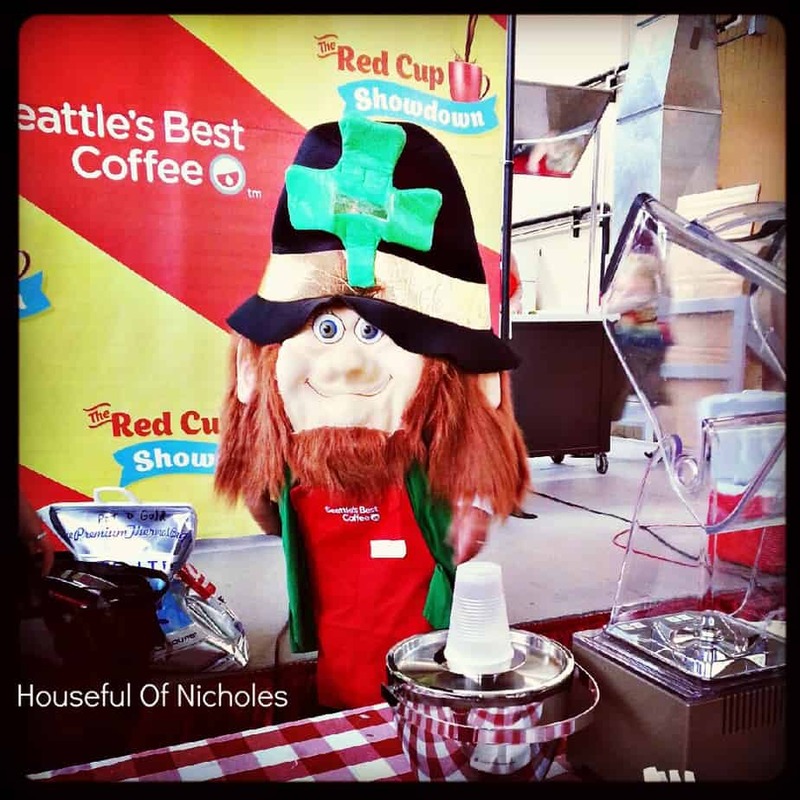 Last week I shared with you that the children of the houseful and I were heading down to the Illinois State Fair to check out some good eats, and the Seattle’s Best #RedCupShowdown. And that we did. 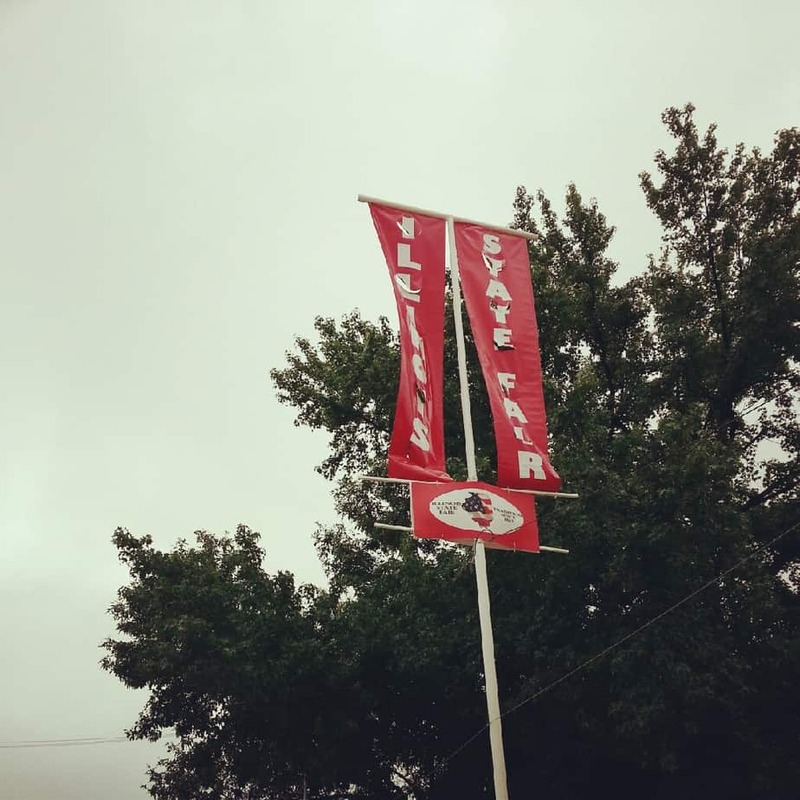 We got up EARLY in the morning (like four in the morning early) and got on the road to go to Springfield, Illinois to check out what State Fairs and coffee slinging is all about. We were not disappointed. The competition started at 8:30 in the morning (much earlier than we’re used to getting up as of late) and Jeff Mauro was definitely on point. He was chipper and quick with the wit! 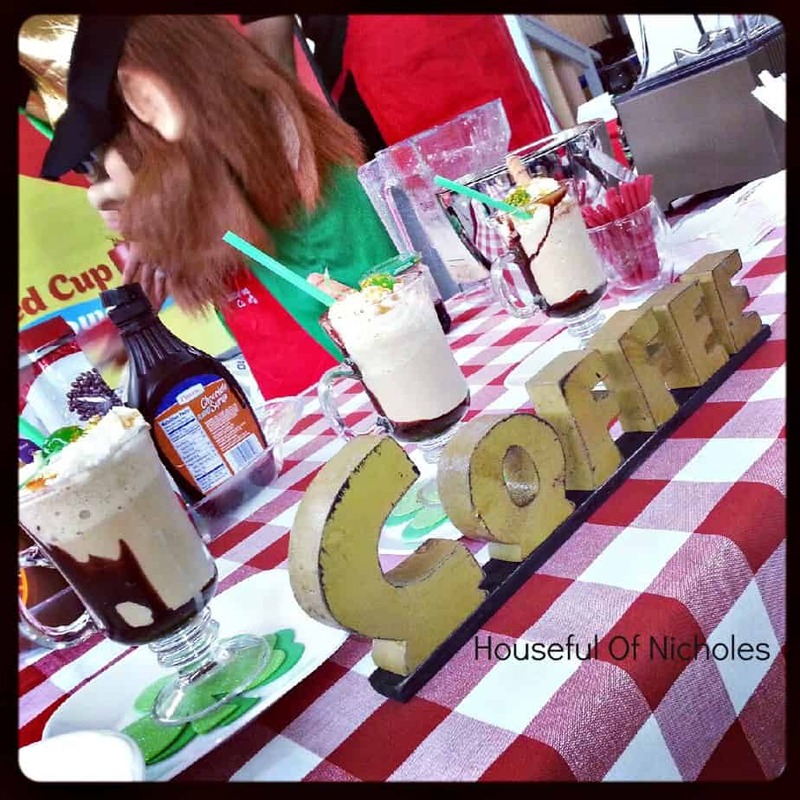 There were several heats of the competition and each competitor had five minutes to get ready, and five minutes to prepare three drinks for each of the judges to sample. There were such great ingredients, that I would NEVER think to put into my coffee like peaches, chipotle pepper, and cayenne pepper. 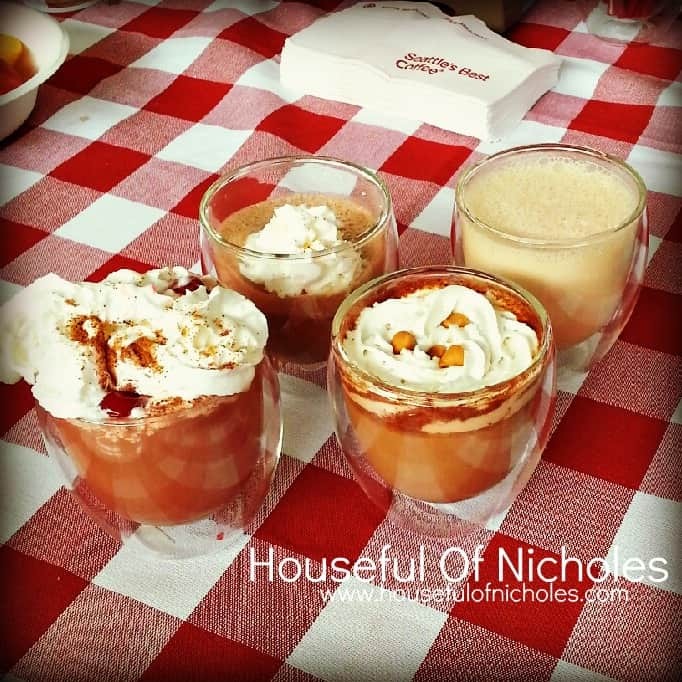 There were definitely staples that were put into the drinks as well – caramel, pumpkin spice, chocolate, and whipped cream. LOTS of whipped cream. I will say that the competitors really came with some interesting combos, but the winner turned out to be the lone guy that participated in the competition, with his Cafe Mocha Fuego. 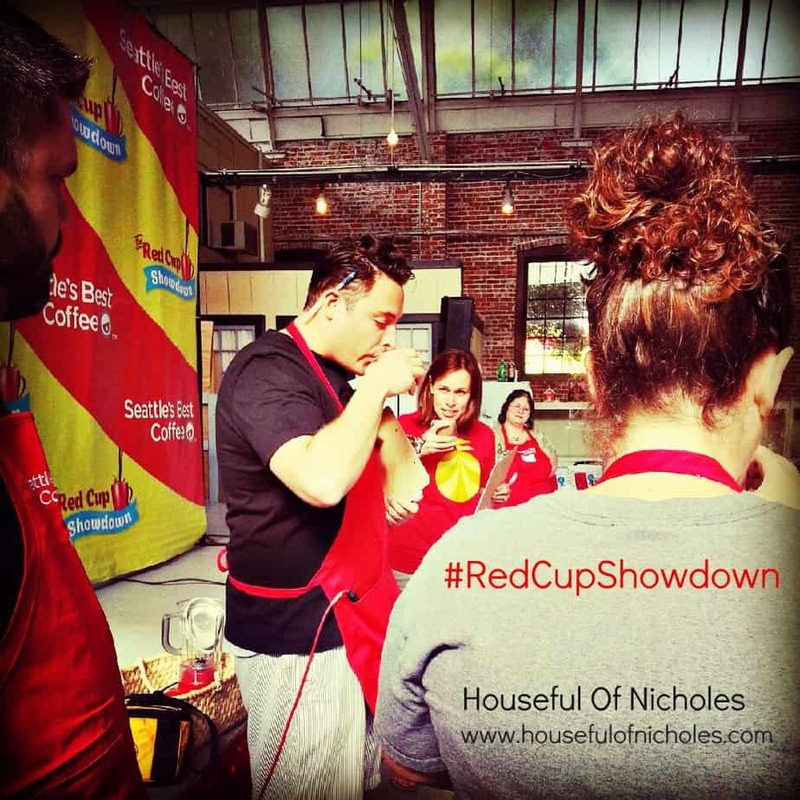 He won $500 and a trip for two to NYC to compete in the national #RedCupShowdown and a $10,000 prize. Jeff and the Seattle’s Best Crew were headed to the Iowa State Fair in Des Moines after packing up from Illinois and bringing an end to a long journey of fairs for the summer. There also happened to be a coffee creator from the end of the rainbow. 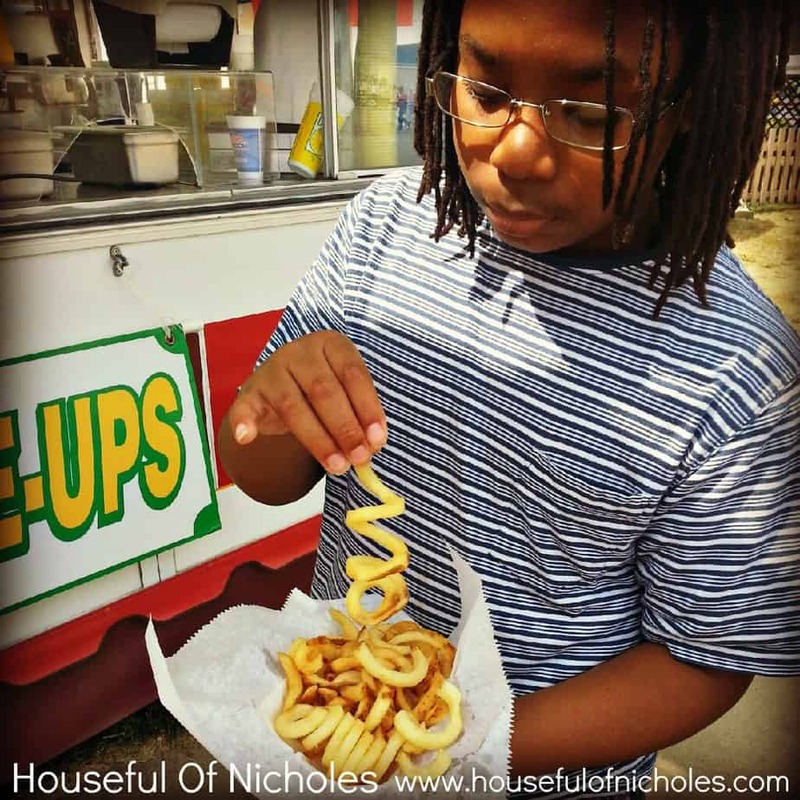 After we were finished with the showdown, the kiddies and I headed on out to the fair and IMMEDIATELY smelled something delicious on the grill. It turned out to be burgers and hot dogs, but I lie to you not, it was the most fantastic smell on earth at the time, and I’m SURE it had nothing to do with the fact that we had now been up for seven hours and it was only 10:30 in the morning! Now, without further ado, here are all of the visual and culinary delights that we tried, and they were definitely delicious! 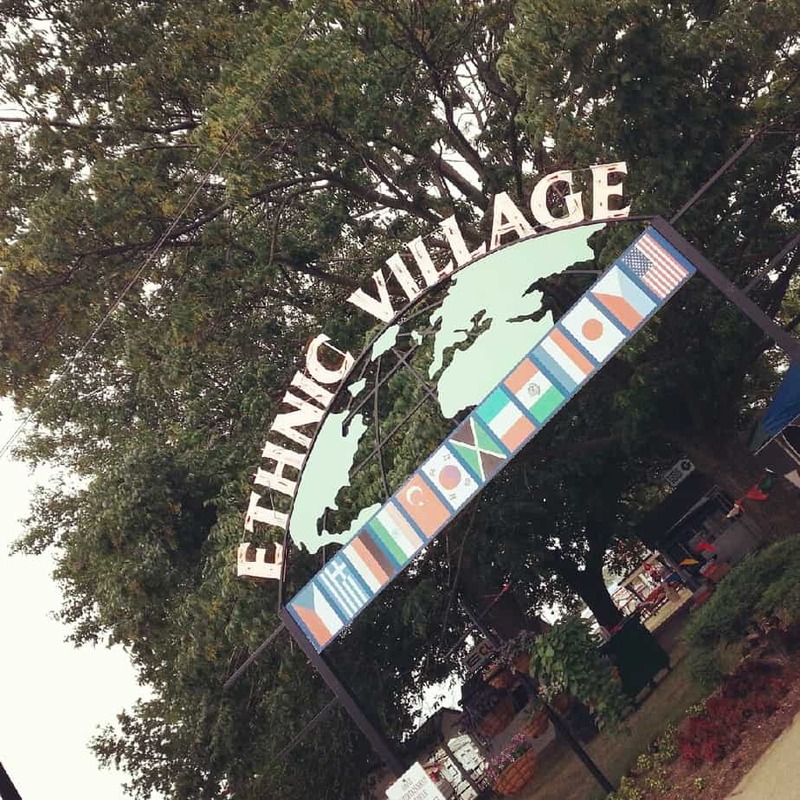 This was our first State Fair ever, and I’ve lived in Illinois all of my life, but it will definitely NOT be our last! I loved people watching and seeing all of the families with little children in tow to enjoy the food, fun and festivities. Maybe next year, we’ll be able to spend an entire day at the State Fairgrounds, and really get to check out the fair after dark! 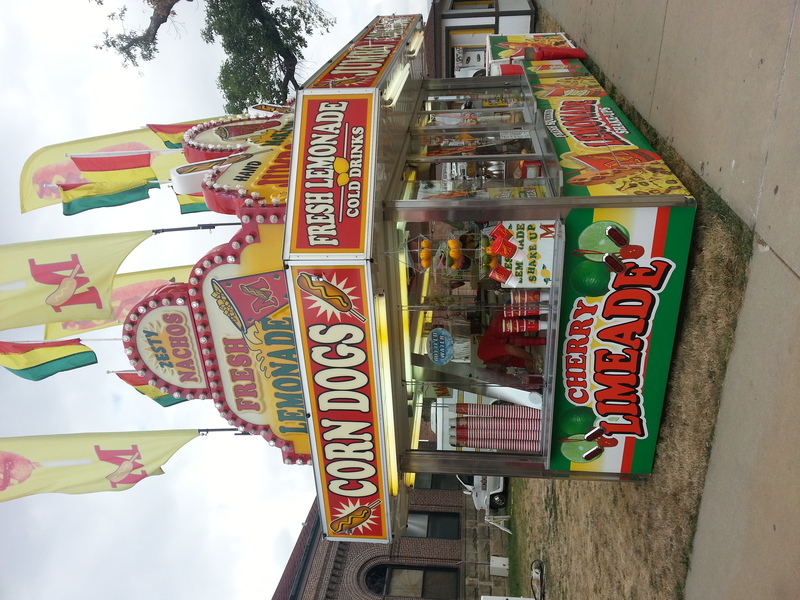 Have you gone to any State Fairs? What are some of your fondest memories of them? Do you go yearly? Has it become a tradition of sorts? Share your thoughts in the comments below! Aww great fun! I love adventures like this with my kids. And now that I think of it, I’ve never taken them to a state fair either in Missouri, Illinois or Wisconsin. I will have to put it in on my bucket list for next summer. Thanks for sharing! It’s nice to see my children have a great time with things. Especially the cellist who is kind of hard to read these days. 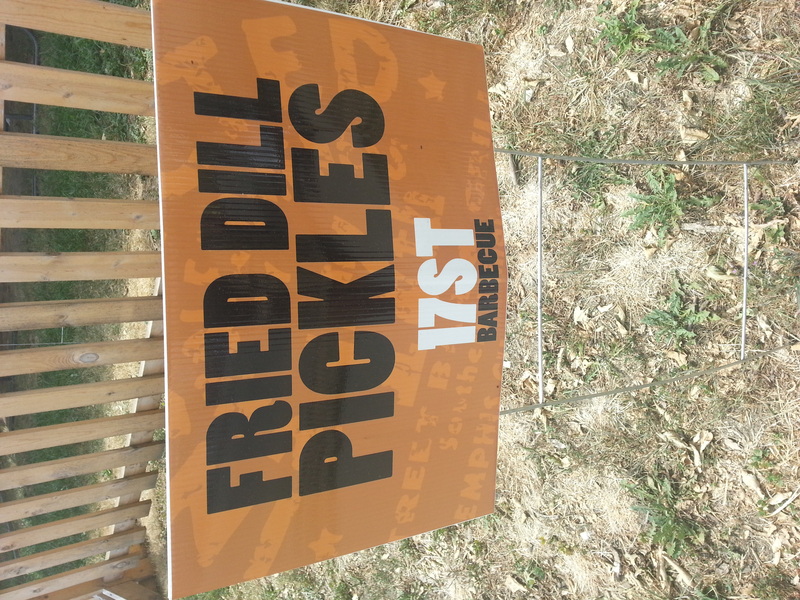 He enjoyed being able to try random foods and drinks, and go to trucks alone. It was a great family outing. Thanks for stopping through! 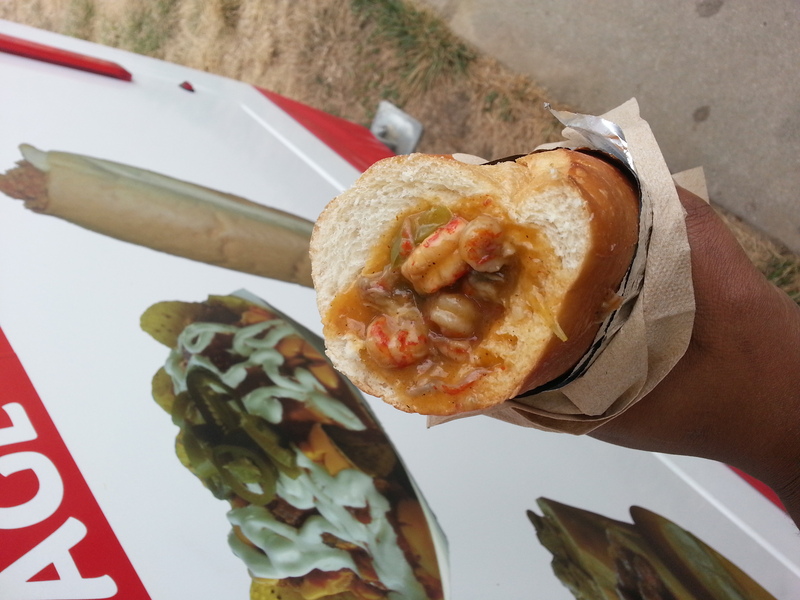 That crawfish stuffed hoagie looks yum-a-licious! 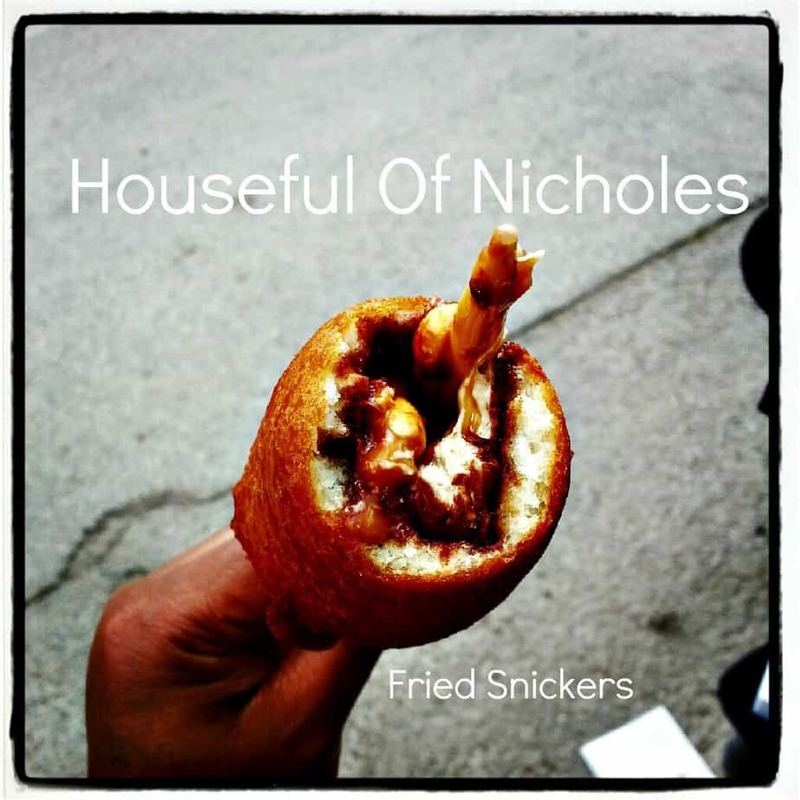 So jealous that you got to try the fried snickers. 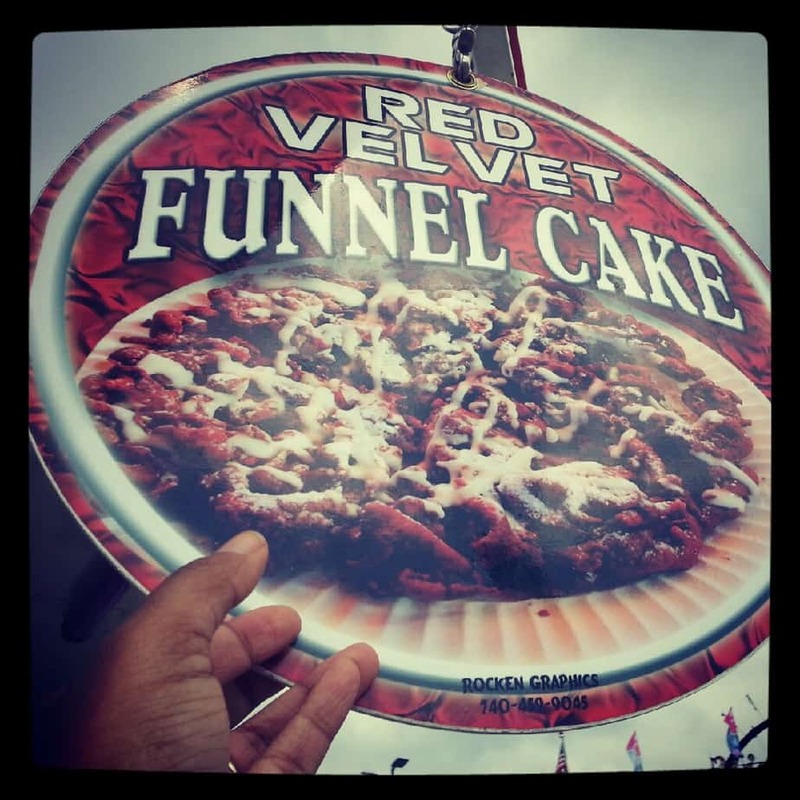 That was one of the things I wasn’t able to find at the fair. It was great to meet you and your little ones though!! We had to walk around for a bit. I was kind of disappointed that a lot of the food trucks weren’t open when we got out of the showdown. I wanted a fried oreo as well. I’ll always have next year! Great meeting you as well!